After the success of last years Liverpool ☀SUMMER SPECIAL☀ programme, which ran June - September 2017, leading to the birth of Mamafit® CIRCUITS and Mamafit® HIIT, we have decided to run another☀SUMMER SPECIAL☀ programme this year, which promises to be even bigger and better! In St Helens, Widnes and on the Wirral we will be offering some of our most popular classes with ALL, CIRCUITS, GO and HIIT classes available at new locations at a variety of family friendly times! As with last years programme our ‘Summer Special’ programme will be used to see what works; successful classes will be developed and become permanent additions to our ever growing timetable. So if there’s a class you like the look of make sure you book in and tell your friends! Classes on offer will be suitable for all fitness levels running for 12 weeks from Monday 4th June 2018 - Saturday 25th August 2018. Classes are available to book in 4, 6, 8 or 12 week terms providing you with lots of options to tailor your booking around you and your family! Morning, afternoon and evening classes available! As well as offering more classes in NEW areas we will also be adding NEW classes to our Liverpool timetable! The biggest, and possibly the most significant, change to the Liverpool timetable is the introduction of Dads classes and Mixed classes for both parents! 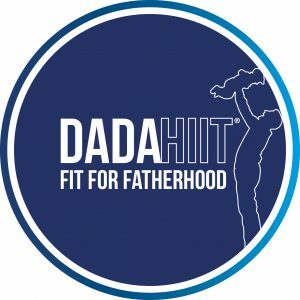 Over the Summer months we will be piloting our DadaHIIT® programme offering both indoor & outdoor HIIT classes and CIRCUITS classes just for Dads! ➕ We will be testing out our MIXED CIRCUITS classes allowing Mums, Mums-to-be, Dads and Dads-to-be to all exercise together! We have been developing our DadaHIIT® programme for some time now so we are really excited to launch them this Summer! Your views and comments will help shape DadaHIIT® both over the summer and in the future! As well as our new Dads only classes we will also be piloting Mixed classes allowing Mums, Dads and Families to exercise and get fit together! Our MIXED CIRCUITS classes are for all parents whether you want to attend by yourself, as a couple or as a family; babies and young children are welcome to come along with mum and dad too! "We want to inspire you to have a healthy and active family life that includes exercise as a fun thing to do together not just another chore on the list or something that everyone has to do separately"
Not only do we want to help Mums and Dads to get fit and healthy, but we want to support families to 'Inspire a Generation' leading by example; showing our children that exercise is normal, fun and healthy for all the family! Mixed classes can be booked in 4, 8 or 12 week term with options for 1 adult or 2 adults; perfect for you and your partner! We also have a Parents ☀SUMMER SPECIAL☀ Pass available which allows Mums and Dads (2 adults) to attend any 24 (12 each) Mamafit®, DadaHIIT® or Mixed classes over the Summer for just £120.00! We hope to see you at a ☀SUMMER SPECIAL☀ class soon!